New Delhi/Mumbai, March 27 (IANS) After actor Sanjay Dutt, Press Council of India chairman Markandey Katju Wednesday sought a pardon for Zaibunissa Kazi, another convict in the 1993 Mumbai blasts case. The former apex court judge said that he would write to President Pranab Mukherjee and Maharashtra Governor K. Sankaranarayanan to pardon Zaibunissa Kazi, 70, on humanitarian grounds. "Zaibunissa Kazi also deserves a pardon. I was earlier considering her case and after going through her judgement file, I am of the firm opinion that she also deserves a pardon," Katju said in his blog. "I have decided to appeal to the president of India as well as the governor of Maharashtra to pardon Zaibunnisa and Sanjay Dutt," he said. The Supreme Court verdict Thursday upheld Dutt's conviction for illegal possession of prohibited weapons like an AK-56 assault rifle and a revolver and sentenced him to five years in jail. Two days ago Katju had said that he received an e-mail from Shagufta, Zaibunnisa's daughter, appealing to him to seek pardon for her mother. Shagufta, 40, told mediapersons that her mother was innocent and she had only agreed to keep a bag containing AK-56 rifles, bullets and hand grenades that was brought to her by Abu Salem and Manzoor Ahmed Sayed Ahmed. She said that Zaibunnisa was not aware of the contents of the bag. "I wish I was a celebrity or my mother was a celebrity, then I would also get all the support that Sanjay Dutt is getting today. If it is on humanitarian grounds, then why only Sanjay Dutt, why not Zaibunissa?" she asked. Zaibunnisa was a co-accused in the 1993 bomb blasts case and was sentenced to five years imprisonment. "The only charge on which she has been convicted is possessing some prohibited weapons. It was not disputed that no recovery of any weapon was made from her house. 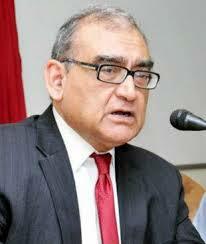 In my respectful opinion she should at least have been given the benefit of doubt," Katju said. "Zaibunnisa is a widow with various ailments. She had a kidney operation some time back, and has to be screened every six months. She can hardly walk. I do not think she will survive for long in jail. Even on merits, I am of the opinion that she deserves a pardon," he said. On being criticised for seeking pardon for Sanjay Dutt, Katju said: "Some people have said that many others will also appeal for pardon. My reply is that I am willing to consider every case which is brought to my notice." "But I will make an appeal only if after carefully studying the relevant material I am satisfied that the case deserves pardon. I make no distinction between a celebrity and non celebrity. Paragraph 125 of the Supreme Court judgment states that she is not guilty of the main charge of conspiracy," he added.